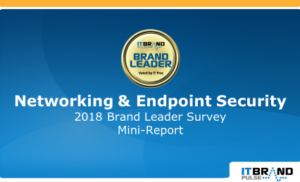 SAN DIEGO, CA—February 13, 2018—IT Brand Pulse, a trusted source for research, data and analysis about data center infrastructure, today announced the results of the recent IT brand leader survey covering Networking & Endpoint Security products. 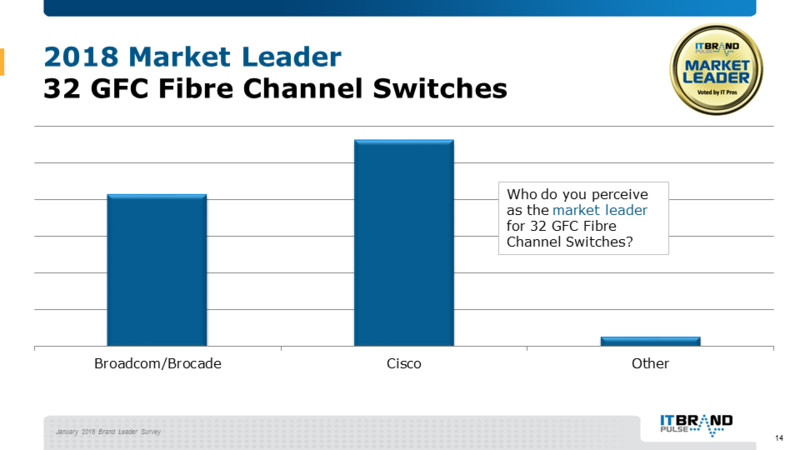 Cisco secured its first Market Leader title for 32 GFC Fibre Channel Switches in the eight years of these brand leader surveys, and picked up the 2018 Performance, Reliability, Service & Support, and Innovation honors. 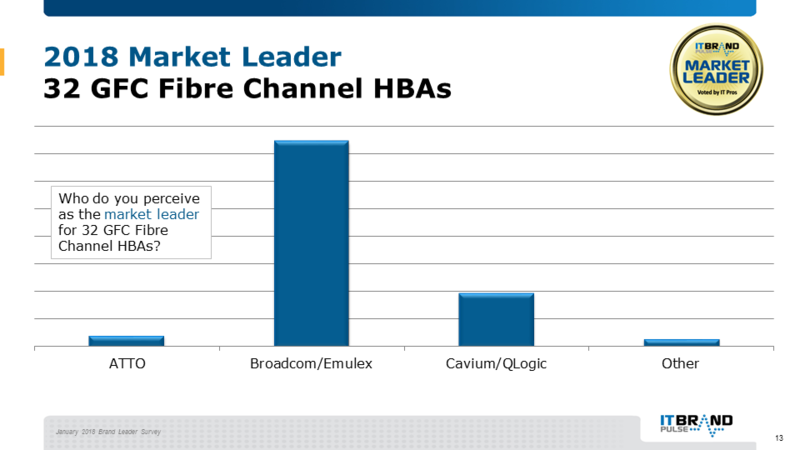 Former and long-standing champion Broadcom/Brocade broke up the sweep by being chosen Price Leader. In this newly-added category to the annual survey, IT pros cast their votes for Cisco as Market, Price, Performance, Reliability, Service & Support, and Innovation leader. 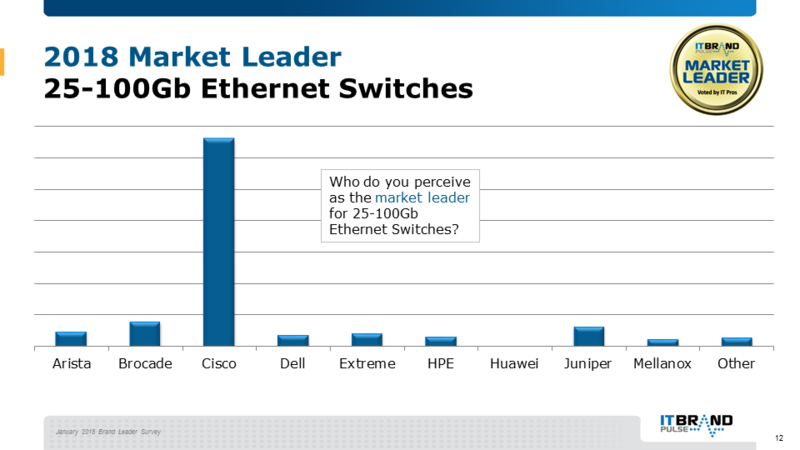 Brocade filled in the number two Market slot, followed by Juniper. For the fourth time since 2013, Cisco captured Market leadership, as well as Performance, Reliability, Service & Support, and Innovation. Runner-up Broadcom/Emulex/Brocade (finishing ahead of third-place IBM) took Price Leader. 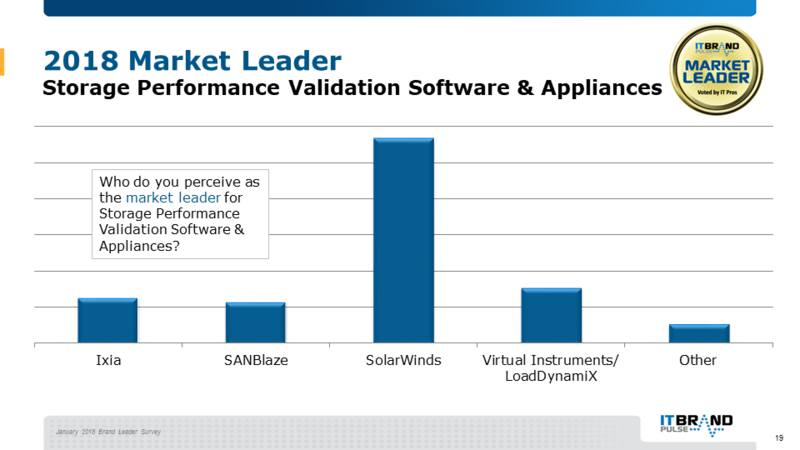 In this 2018 brand survey, SolarWinds pushed two-time, reigning winner Cisco down to the second Market Leader spot, while nabbing Price and Innovation honors. Cisco, however, did pick up Performance, Reliability and Service & Support. NetScout Systems rounded out the top three Market Leader positions. SolarWinds—by garnering over 50% of the votes—recouped the all-around leadership lost in 2016: Market, Price, Performance, Reliability, Service & Support and Innovation. 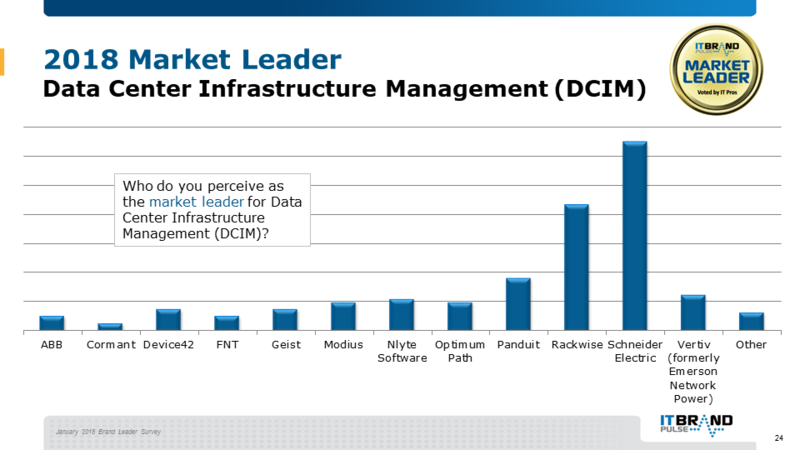 Virtual Instruments/LoadDynamiX and Ixia came in as the number two and three Market Leaders, respectively. Citrix—for the fifth year in as many surveys—gained the Market Leader title, as well as Price, Performance, Reliability, Service & Support and Innovation. 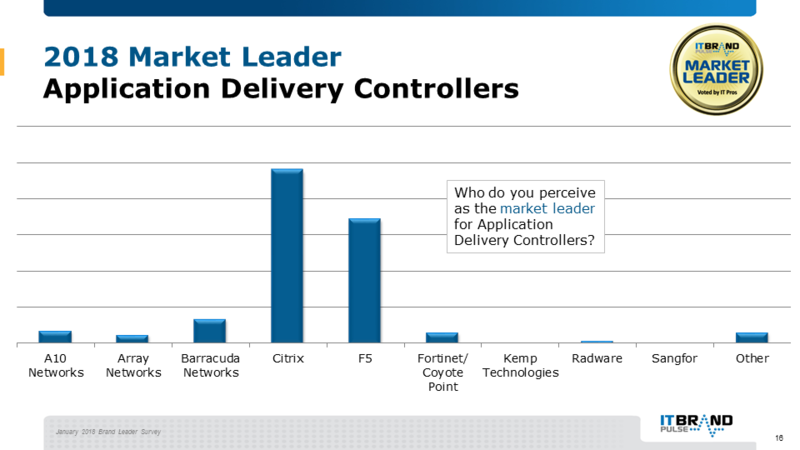 As in 2017, F5 was named the second place Market Leader, with Barracuda Networks finishing third. “It is an honor to be recognized by IT Brand Pulse and the IT professionals that voted for Citrix and its networking solution, NetScaler, as a leader for the fifth year in a row in the application delivery controller category across market, price, performance, reliability, service and support as well as innovation,” said Manoj Raisinghani, vice president of secure digital perimeter at Citrix. “With the innovative networking solutions, Citrix is providing customers with secure access to all types of apps and data on any device and across hybrid and multi-cloud networks. 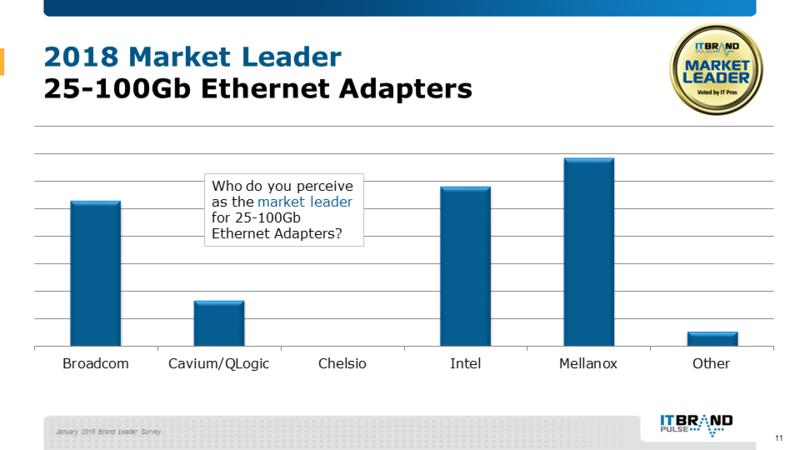 Mellanox pulled out a complete victory in 25-100Gb Ethernet Adapters, as IT professionals chose the company for leadership in Market, Price, Performance, Reliability, Service & Support and Innovation. 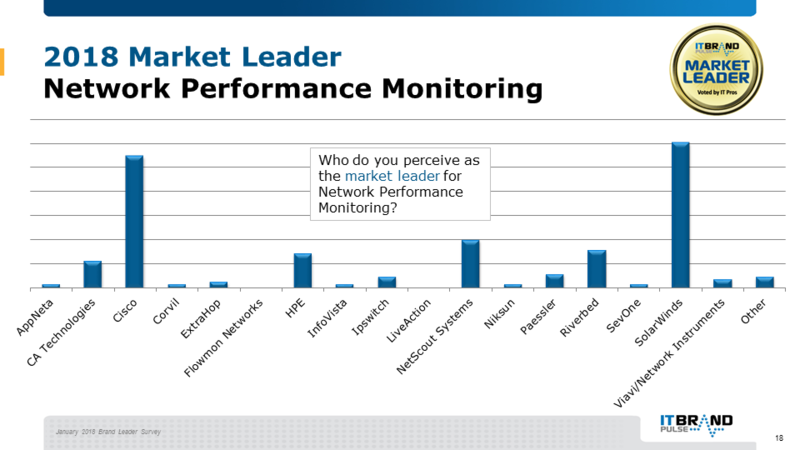 Intel finished second as Market Leader, followed by Broadcom, in third. 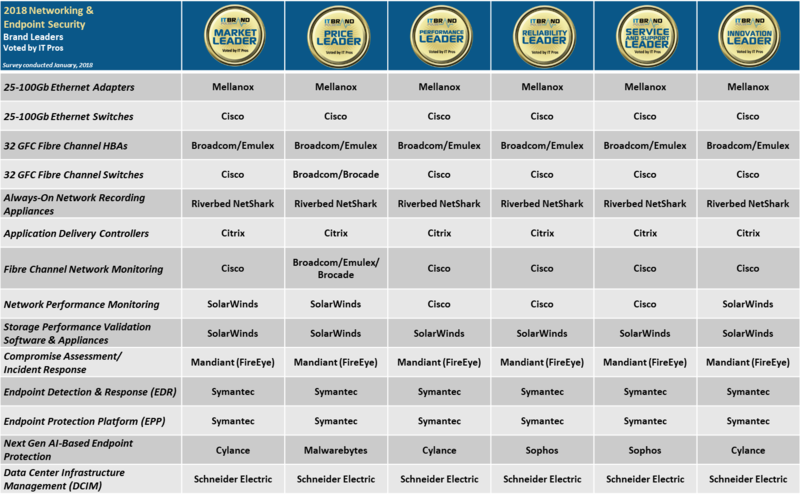 In a near mirror-image of last year, Cylance again emerged as Market, Performance and Innovation Leader, while Sophos took home Reliability, and Service & Support; the difference this time around was in the Price category, which saw a new winner: Malwarebytes. 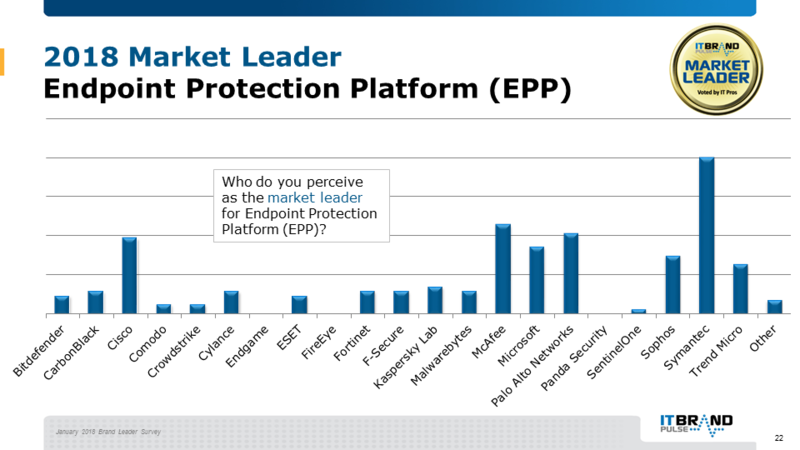 Sophos received the number two Market designation, ahead of Palo Alto Networks. Global respondents favored Symantec for a second straight year—delivering the security giant all available awards: Market, Price, Performance, Reliability, Service & Support and Innovation. 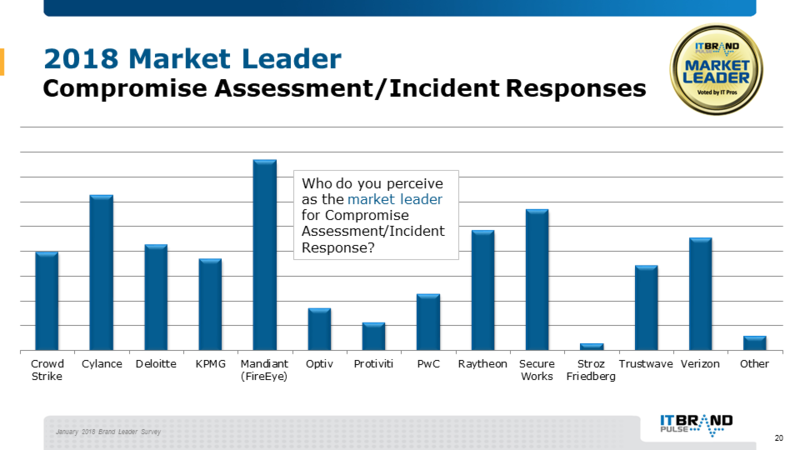 McAfee was next in line as Market Leader, in front of Palo Alto Networks. 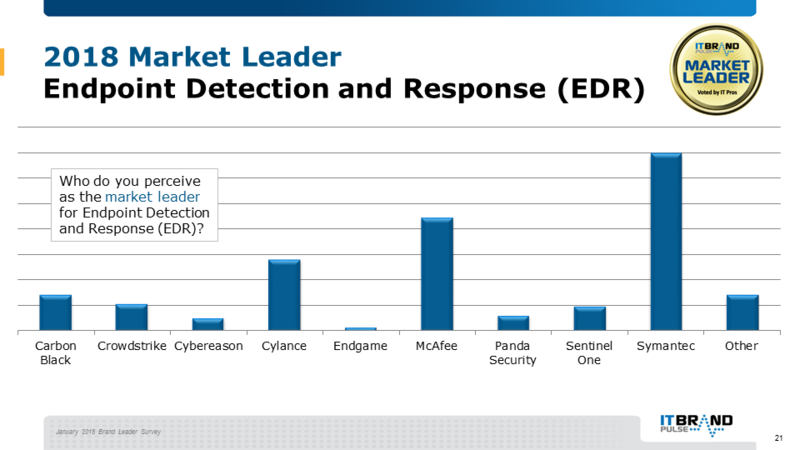 Another new 2018 survey segment, EDR, saw Symantec besting McAfee as the overall Market, Price, Performance, Reliability, Service & Support and Innovation leader, with third-place going to Cylance. As a first-time survey product category over the ten year history of the IT Brand Pulse leader program, 2018 brought a benchmark winner, Mandiant (FireEye), for all six awards: Market, Price, Performance, Reliability, Service & Support and Innovation. 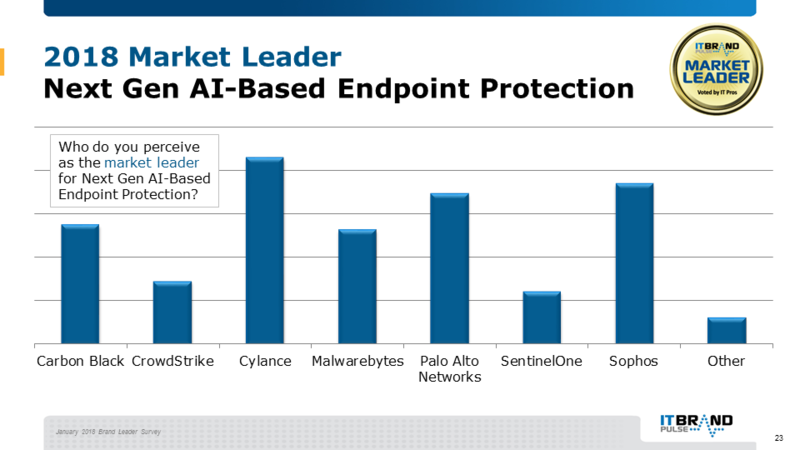 Cylance and Secure Works were the next highest Market Leader vote-getters, in that order. Posting one of the largest first and second place results margin in the entire 2018 Networking & Endpoint Security collection of surveys, Broadcom/Emulex easily scored a repeat sweep of last year’s Fibre Channel HBAs (Market, Price, Performance, Reliability, Service & Support and Innovation). 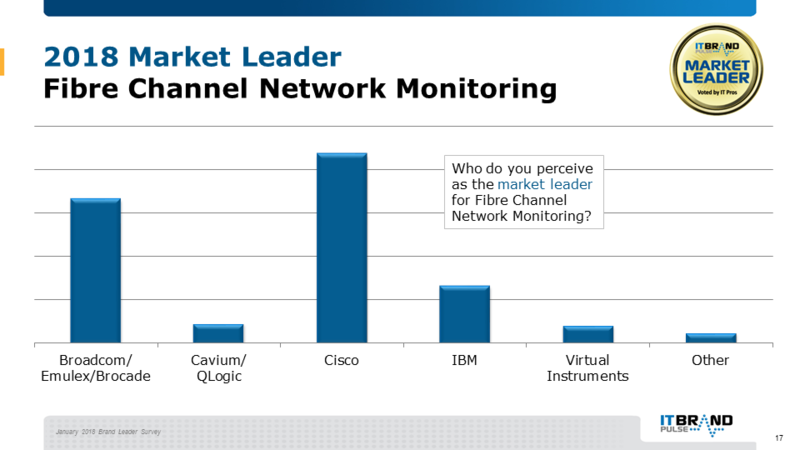 Cavium/QLogic was the runner-up leader across the board; ATTO settled for third. 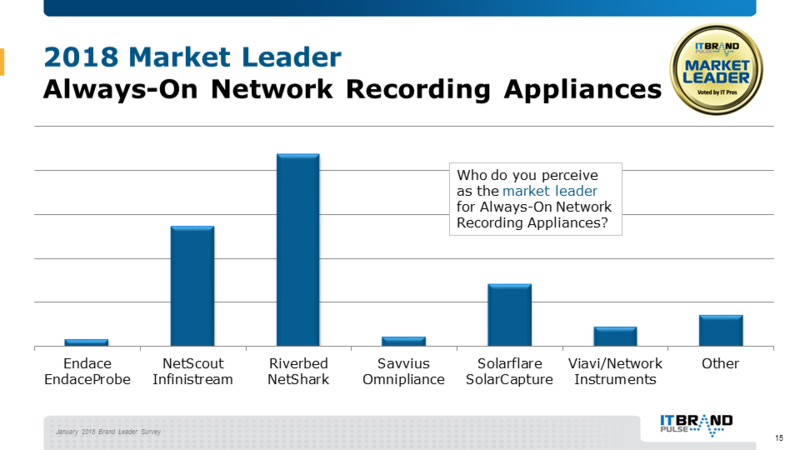 Riverbed NetShark claimed Market Leader (for the second time in as many surveys), and along with it came Price, Performance, Reliability, Service & Support and Innovation. NetScout Infinistream was cast in the number two across-the-board leader role, leaving third to Solarflare SolarCapture. For DCIM, Schneider Electric surged from 2016’s second-place showing to top this year’s Market, Price, Performance, Reliability, Service & Support, and Innovation charts. Rackwise pushed into second as the Market Leader challenger; Panduit grabbed third. American Airlines – American Express – Adobe Systems – Advocate Health Care – Aetna – AF Group – Air Force Space Command – Allstate – AT&T – BAAQMD – Bank of America – Beckman Coulter – Boeing – Baylor College of Medicine – Bosch – Boston Scientific – Brinker International – CA Department of Insurance – Capital Group – Caesars Entertainment – Celanese Corporation – Citibank – City of Los Angeles – Combined Insurance – Coca-Cola – Colliers – Comcast – Cox Enterprises – CPS Energy – Daiwa Capital Markets – Dana Foundation – Daybreak Game Co. – Disney – DLL Group – Dow Corning Corp – Duke University – Edmunds – Encore Capital Group – EnerCare – Ensco – Exelon Corp. – ExxonMobil – EY – FedEx – First Acceptance Corp. – Four Seasons – Franklin Templeton – General Electric – General Motors – Great-West Life – GWDG – HCSC – Kaiser Permanente – Kingston – LANL – Library of Congress – Lockheed Martin – LRZ – Michael Kors – MIT IS&T – Morgan Stanley – NASA Ames Research Center – NIH – NBC/Universal/Comcast – NCR – Optum – Orbital ATK – Polycom, Inc. – Quicken Loans – Raytheon – Ricoh – Ryanair – Schindler Elevator Corp. Shaw Industries – Siemens Corp. – Snyder’s-Lance – Spectrum Brands – Stanford University – Staples – Starbucks – States of AL CT, LA and MT – Time Warner – TMZ – Torchmark – Tiger Corporation – T-Mobile – UCLA – United Health Group – U.S. Dept. of Labor – U.S. Navy – UPS – Veolia – Verizon – Walmart – Weizmann Institute of Science – West Pharmaceutical Services – Yale – Yazaki…and many more.